106 x 93 x 56cm. 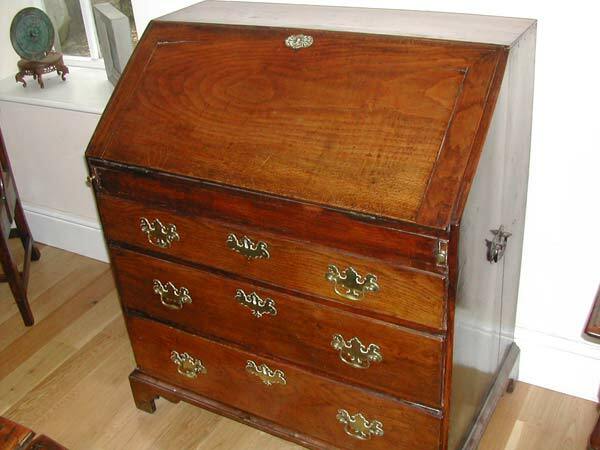 A magnificent 18th Century Elm Bureau with a fitted interior and well and bracket feet. The brasses are original and virtually complete. In addition are two blacksmith made carrying handles to the sides which appear to be original. 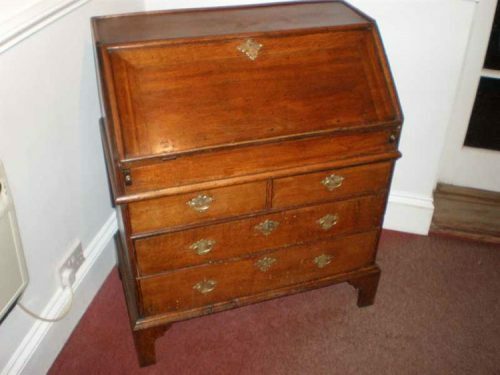 West Country in origin and quite possibly Somerset, the elm is a good colour and beautifully figured.